My research is focused on developing new therapies for treating cancer that target specific changes in cancer cells, but do not affect normal healthy cells. My work is applicable to all cancer types, but I focus primarily on two diseases: Acute myeloid leukaemia (AML) – the most common adult leukaemia, with a dismal 5year survival rate of just 24%; and breast cancer – a disease that kills over 3,000 Australian women every year. By understanding the molecular changes that occur when a normal cell becomes cancerous, my team is identifying specific molecules inside cancer cells that we can use as new drug targets. Because we take a basic scientific approach of better understanding the biology of a disease, and then developing drugs to target biological changes, our work is also applicable to other diseases. For example, in collaborative work our targeted drugs are showing great promise in a range of inflammatory diseases such as asthma, rheumatoid arthritis and emphysema. Like most people in our community, my family has been affected by cancer. During my Honours year my cousin’s husband was diagnosed with leukaemia. He was only 26, with two young daughters, and he died within six months of diagnosis. I remember visiting him in the hospital and thinking that the drugs he was taking were only making him sicker. I know it takes a fair bit longer than that, but I am even more convinced today than back then that our contributions to the basic understanding of cancer cell biology can, and is, leading to better treatments and improved survival for cancer patients. The best advice I give to others is to follow your passion, no matter what it is. My passion is for research, and this keeps me going strong. I’m proud to say that my contributions to the basic understanding of cancer cell biology has led to the development of novel treatments that one day (I hope) will ultimately lead to improved survival rates for cancer patients. My greatest achievements include discovering that a protein, called PP2A, is inactivated in some myeloid leukaemia’s and breast cancers, and can be re-activated using pharmacological agents – and this is showing great potential for a new anti-cancer therapy. I hope to be able to show that these new PP2A activating drugs can kill cancer cells without adversely affecting normal cells in clinical trials in acute myeloid leukaemia (AML) and breast cancer patients, with the ultimate goal of improving the survival. I also aim to develop techniques and infrastructure to be able to determine which treatment is most likely to benefit which patient i.e. personalised therapy. We understand so much more about individual tumours now than ever before, however the ability to use that information at the individual patient level is hampered by limitations and costs in our laboratory testing. Our laboratory has been developing new techniques to be able to grow patients cancer cells and test large numbers of potential therapies, in the laboratory. This has the potential to provide information to the clinician as to which treatment to use to maximize the clinical benefit, and minimize unnecessary side effects associated with chemotherapy. Associate Professor Nikki Verrills is a cancer biologist at the University of Newcastle and the Hunter Medical Research Institute (HMRI). Associate Professor Verrills was awarded her PhD In cell biology and biochemistry from Macquarie University. Her PhD studies were conducted at the Children’s Cancer Institute Australia and the Australian Proteome Analysis Facility, where she investigated the molecular mechanisms behind chemotherapy resistance in childhood leukaemia. 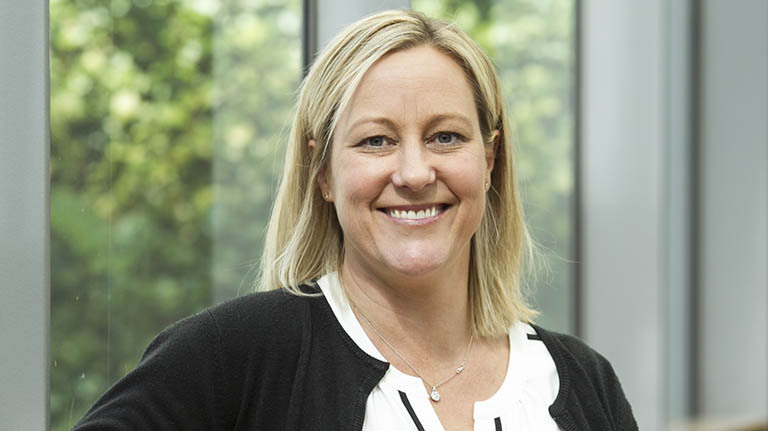 She then moved to Newcastle for postdoctoral studies, and in 2006 was awarded an NHMRC Peter Doherty Fellowship, together with an HMRI Award for Early Career Researchers supported by the Jennie Thomas Foundation. Together, this allowed her to establish her own laboratory investigating the molecular causes of cancer, and novel treatment therapies. The work in the Verrills lab centres on understanding the molecular changes that occur in cancer cells so they can identify molecules that can be targeted with novel therapies that aim to kill the cancer cells, without affecting normal cells. A major part of her work is breast cancer, where she is focusing on developing improved therapies for patients who currently don’t respond, or who relapse, on current therapies. Medical research has led to a massive improvement in survival rate for breast cancer patients – today, nine out of 10 will survive the disease. However, still more needs to be done to reach our goal of 100% survival. Associate Professor Verrills also embraces her role as a mentor to early career researchers, and raising awareness of cancer research in the general community. She spends time communicating her research to community groups such as Rotary and Lions Clubs, HMRI, Cancer Council and Cure Cancer Australia’s fundraising events. She is also passionate about encouraging the next generation to pursue science as a career, and gives talks at schools and careers events to generate awareness about careers in medical research. At the Verrills lab we are using powerful proteomics analysis to identify proteins in cancer cells which could function as new therapeutic targets. We will use our range of preclinical models to test drugs targeting these proteins, as single agents or in combination therapies, and will work closely with our clinical colleagues to translate these findings into clinical trials, and ultimately into improved therapies. We will also delve further into the area of development. In the process of studying PP2A, we have discovered that this enzyme is essential for embryonic development. We have found specific roles for this protein in skin, brain and limb development, and will now focus on understanding how PP2A is involved in regulating these processes. This will shed light on the fundamental nature of mammalian development, as well as provide new knowledge that may lead to better PP2A-targeted drugs.